The Ibero-American University Foundation (FUNIBER) approves a scholarship program for national and foreign students who stay in the European University of the Atlantic residence. These young people are eligible for a grant of €1,200 a year, given in twelve monthly installments, which will be used to finance part of the costs of their formative stay in Santander. 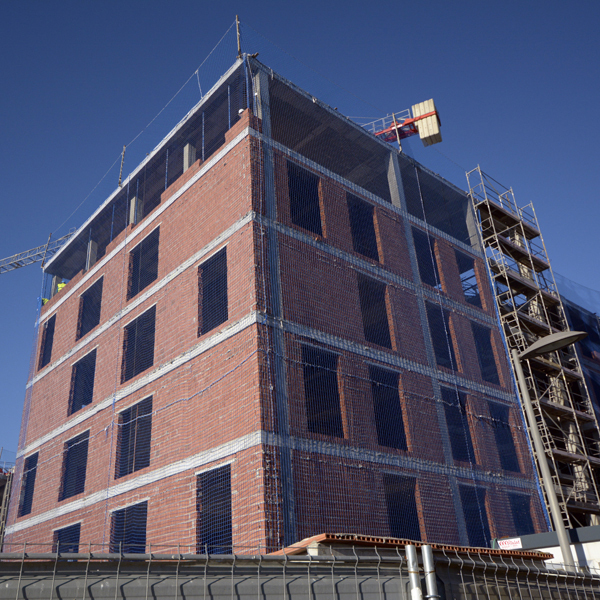 The building construction is advancing at a good pace and according to its architect, Carlos Galiano, “the residence will be completed on time”. Meaning that in September of this year it will accommodate the first students and they will be able to choose between two different types of accommodation: apartments or shared rooms. The apartments have a surface of 115m² and four bedrooms with bathroom, as well as a kitchen with oven, hob and microwave. The lounge is common and will be furnished with sofa, tables, chairs and a TV. All bedrooms will have a single bed, a wardrobe, a desk, shelving, a table-lamp and a chair. The residence will also offer 57 shared rooms of between 28 and 45 m2. In this type of accommodation, students will have two beds, two desks, kitchen, office and television. In addition, the campus reserved 6 adapted apartments for the disabled. All the residence rooms will have water supply, electricity, gas and heating included in the monthly fees. There will also be wifi in all the facilities of the residence, bed linen and towel for each student, as well as room cleaning and change of linen and towels one day per week. Guests of the residence will be able to use a self-service laundry room in the own facilities. Finally, the residence provides to the students a library, a restaurant, a dining room, a common room and a gym. A car park and a green parking area complete the avant-garde facilities, which are comfortable, functional and designed to meet energy efficiency criteria and the accommodation needs of professors, researchers and students. If interested in receiving more information about the UNEATLANTICO student residence, contact the Scholarship Service in this e-mail address: becas@uneatlantico.es or check this page.